The European Committee for the Treatment and Research in Multiple Sclerosis (ECTRIMS) has re-elected Congrex Switzerland as its Professional Congress Organiser (PCO) until 2018. 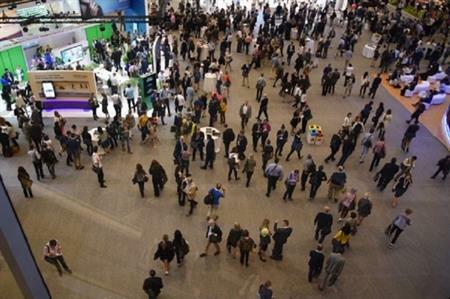 The appointment follows the successful execution of this year's ECTRIMS congress in Barcelona, which attracted a record 9,000 participants from 95 countries. The 32nd congress of ECTRIMS will take place in London next year from 14-17 September. Prof. Xavier Montalban, president of ECTRIMS, commended Congrex Switzerland for its "liability, efficiency and expertise". "ECTRIMS has been collaborating with Congrex Switzerland as PCO for our annual congress since 1999. Their highly professional approach in conference organisation combined with their caring attitude and passion for details have helped to grow our congresses significantly during this period," he commented. Julia Bicher, account director at Congrex Switzerland, added: "We are very proud that ECTRIMS has chosen to renew our contract until 2018 and that we can continue to organise memorable conferences with happy participants."